According to the founders of Mancan — a wine in a can that launched late last year — some alpha males need a bit of a bit of packaging-based persuasion before they’ll be seen sipping Sauvignon Blanc. 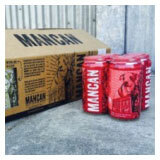 So founder Graham Veysey unveiled Mancan as what he calls “drinkable wine in a can,” which comes in three simple varieties—red, white and fizz. Writing on the product’s website, Veysey says he came up with the idea one night at a bar, when he was reluctant to drink wine from “stemware” while his friend sipped a can of beer. But the reaction among commentators to this male-centred tipple hasn’t been positive. Indeed, trying to force a marketing campaign into a gendered box is increasingly getting short shrift from consumers. A recent IBM campaign called “Hack a Hairdryer” – which aimed to “blow away the misperception” about women in innovation – drew scorn from the Twittersphere. The campaign asked women to repurpose a hairdryer, “to support those who believe it’s not what covers your cranium that counts, but what’s in it”. Others described the campaign as “patronising”, leading IBM to accept it “missed the mark” and pull the ad from its YouTube channel. Instead, marketing moves that break down gender barriers are increasingly resonating with consumers. Target’s move to do away with boys and girls signage in its toy and bedding aisles was described by The Washington Post as “making a bold statement: Gender stereotypes and gendered marketing are passé”. And Mattel and Moschino were applauded when they featured a boy in the ad for the Jeremy Scott-designed Moschino Barbie, which premiered on Moschino’s YouTube channel. The campaign got raves from consumers for its “inclusive” nature, and for being the first Barbie marketing initiative to feature a boy in over 50 years.